Super fad: Are superfoods really that super? Superfads: Are superfoods really that super? Strolling along Church Street in one of Melbourne’s leafy suburbs, I walk past the mecca of junk food, McDonald’s. A few shops down the road, I arrive at my destination – The Essential Tree – an organic health food store in Richmond. This store is a huge contrast to the multinational fast-food stores that litter the street. I head straight in. The aisles are packed with exotic richness; Amazonian Açaí berries, Baobab powder, Chia seeds, Matcha tea and at last I see Queen of all superfoods-Quinoa! I wonder to myself what really makes these colorful and bizarre foods so super. In Be Magazine’s ‘Will the real superfoods please stand up?’ Professor Tim Crowe said, “’Superfood’ has no meaning among nutrition scientists – the people who know the most about the science of food. Putting the lack of a solid definition aside, closer scrutiny shows that any food labelled as a superfood will normally describe a food with a high content of nutrients that can offer health benefits. Examples of such nutrients include antioxidants, fibre, selenium, zinc and the healthy omega-3s oils”. Who has the authority to ordain and promote a specific food to “superfood”, then? The answer to this lies in the media who commandeered this term for healthy marketing. “There is no regulation written into our food laws that cover the term ‘superfood’. No black and white regulations for people to be able to say this food is a super food. Anyone can call any food a superfood!”, says Ms. Adamski. DO SUPERFOODS NURTURE A HEALTHY LIFESTYLE? “There are certainly foods that are nutritionally packed, but, unfortunately, some people have a tendency to focus on whatever ‘powerfood’ is new instead of taking their whole diet into account”, as Raina Childers, a registered American dietician told the Southeast Missourian. Each superfood’s food matrix and nutrient profile are different. “There is no one way a superfood would work. Every food needs to be treated differently, we also need to keep in mind your health goal and finally what really matters is the amount that you consume,” says Ms. Adamski. There happens to be less concrete clinical evidence for the nutritive impact of any product consisting of an extract of the raw powerhouse foods. Ms. Adamski stresses that “superfoods are healthy foods, have high antioxidant profile and are low on kilojoules” but it is always better to eat these superfoods in their “natural form” rather than it going through a “process of refining and extracting the juices”. “Consumers don’t need to base their grocery shopping around the superfood label”, Tania Ferraretto, accredited practicing dietitian and spokeswoman for the Dieticians Association of Australia told the wine and dine website Good Food. Often the untagged choices are equally healthy and provide cheaper, garden-fresh alternatives. Ms. Adamski quotes Kale as an example and says “it has been the in trend food for a year or two now and is called a superfood. However, there are other green leafy vegetables that are superior to Kale in nutritional quality”. She calls Silver beet a cheaper and “healthier” alternative to Kale. Susan Jebb, professor at University of Oxford told The Telegraph that the labeled superfoods are “often expensive” and that people can spend “the same amount of money on twice as much of cheaper foods” to boost their dietary variety. It is important that you have a variety in your diet. Overdosing on one superfood all- day-long will not only set in monotony but also weaken the effects of the superfood as the body has that one nutrient in excess. You may give up on the superfood after a week-long binge just as I did or fall sick because of imbalance in nutrients. To reap the nutritional benefits, introduce these superfoods part of your everyday balanced diet. Ms. Adamski advises to get the nutrients from foods you enjoy eating and make it a long-term eating habit. “After all, food is an enjoyable experience of our life”, she says. Imagine if Victoria Beckham proclaims her love for detoxifying with Chlorella juice or Gwyneth Paltrow gives out how much she counts on her breakfast dose of Teff or Dr. Oz does a segment centering on another ancient grain, what happens? The food fad gets its time in the spotlight. Every juice shop will introduce Chlorella and cafés will include supergrains on their breakfast menu or as an on-the-go Nutri bars. The list of superfoods seems to be never-ending and is constantly changing with healthy berries replacing nutrient rich seeds and ancient gluten-free grains washing walking their way into the hall of fame. I thought that eating chia porridge with blueberries was a super- breakfast, but then the very modest oats that I always have in the cupboard are scaling on the superfood charts! The UN tagged 2013 the ‘International Year of Quinoa’, to raise awareness for the nutritional and ecological value of the traditional Andean grain. The king of superfoods now, Kale – then the lesser-known member of the brassica family – followed quinoa. 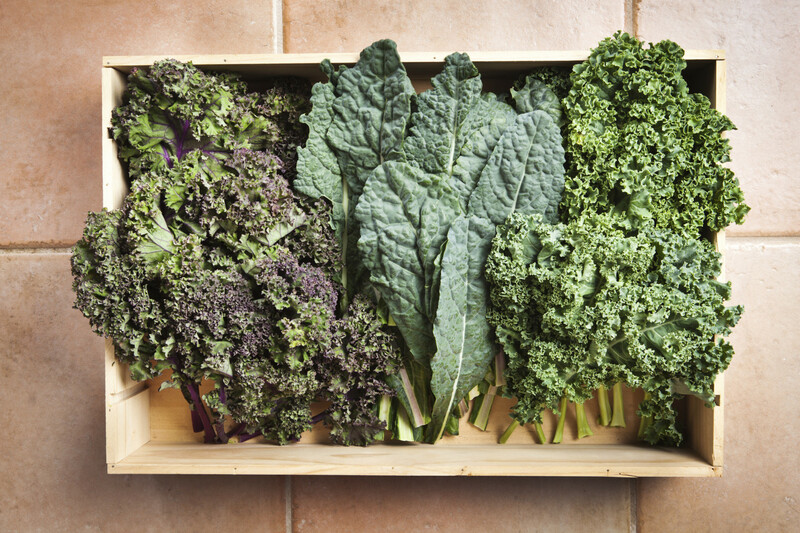 Kale’s deliciously dark green leaves are loaded with vitamins, calcium and iron. For 2015, Mintel’s Consumer Trends have anticipated humble vegetables, the likes of cauliflower and Brussels sprouts, to be the next superfood mania. Ms. Adamski foresees 2015 as the ‘Year of Freekeh’. Freekeh (pronounced as free-ka) is a green wheat, which has been toasted and cracked and found amidst the ancient Arabian wholegrain foods. “Keeping the ancient grains trend, Freekeh is going to continue upward”, Ms. Adamski says. 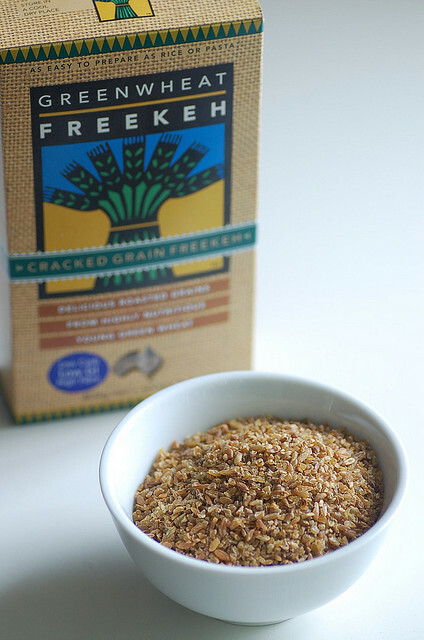 Image Source: Freekeh by Jules on Flickr. Creative Commons License. At the Global Food Forum last month, another trending superfood identified was chia seeds, which pack high content of omega-3 fatty acids. John Foss, chief executive of heath food innovator The Chia Co. said that “It took between four to five years of solid marketing to crack into the global market”. CONSUMERS’ CHOICE OR MASS MARKETING? All superfoods are not necessarily new, instead the new dietary regimes like the Paleo, Raw, Vegan, and Dukan, are rediscovering these foods. Today’s consumers are health conscious and want a superfood to be included into their diet. Nutritionists and dieticians do not necessarily use the term superfood to introduce foods with higher nutrient profile, in case the consumer may not be aware of ample choices they have. “The food industry develops products based on consumer demands and trends. So depending upon what is popular with the consumer, they will produce food to meet those needs”, explains Ms. Adamski. In endorsing a food product, the marketing propaganda entails creating a hype around it. It is not surprising that the superfood label is the marketer’s way to spruik consumption. Ms. Adamski describes this to be “a grey area” that marketers love to use. “Slap the term superfood onto anything and it can easily gain popularity”, she declares. I ask Mr. Meadows about the one superfood that they sell the most at Fredericks. “It will have to be cacao by a long shot”, he says. “People like eating cacao because it comes in so many different forms- as a chocolate bar, as a powder and as a raw bean”. Agreeing with Mr. Meadows and Ms. Adamski “eat food that you really like” mantra, I indulge in the bitter-sweet rawness of the bean of the gods. 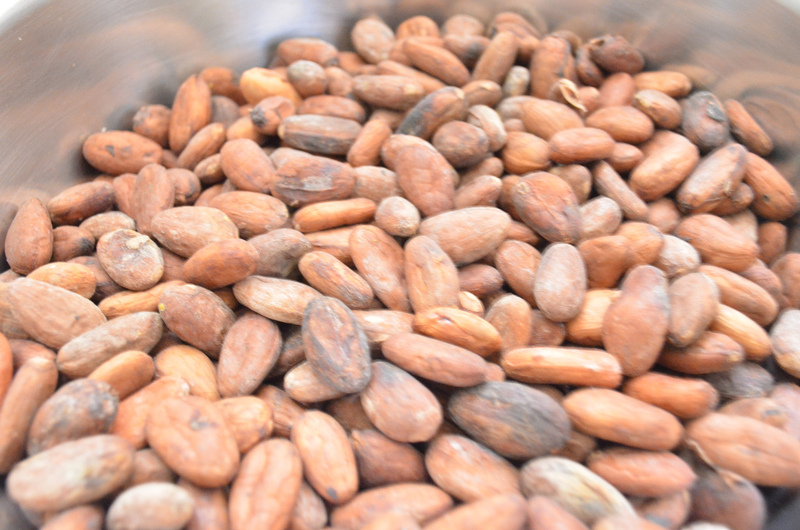 The cacao bean makes me feel better for not eating what writer Tamara Mercieca calls “highly processed, low-grade chocolates that contain nothing but empty kilojoules and little in the way of true cacao”, in her article for body+soul magazine. Image Source: Cacao Beans by James on Flickr. Creative Commons License. My 15-day long research has come to an end and it is time for my verdict. Superfoods, may not necessarily have to be all that super but, some do pack that extra punch. Each one has a different health benefit, but superfoods are not a magic potion to redeem your unruly lifestyle choices. The marketers do wonders by promoting it exceptionally well. In reality, supply-demand is the rule of thumb and it is the consumers who add fuel to the fire. There is a flipside of the PR and marketing around the superfoods, it does allow people to explore unchartered waters. It increases the health-consciousness and adds to the variety of food in people’s diets by encouraging them to pick a new superfood habit.